If the daily build up of plaque is not removed, this can lead to the first stages of gum disease, known as ‘Gingivitis’. 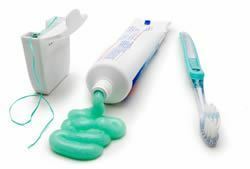 Bleeding when flossing or brushing your teeth is the earliest and most common sign of gingivitis. 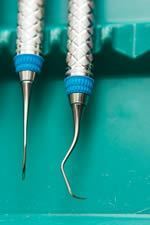 Gingivitis is reversible if treated by a hygienist, or by improved brushing and flossing techniques. However, if left untreated you will develop the later stages of gum disease, known as ‘Periodontal Disease’. Periodontal Disease is the later stages of gum disease. This is when the bacteria infection under the gums progresses deeper, and affects the bone and tissue supporting the tooth. Once the tissue has been destroyed, the gum pulls away from the tooth – this is called ‘pocketing’. This forms a pocket which bacteria thrive in. If not treated, in time the bone anchoring the teeth in the jaw will dissolve, making the teeth loose. Eventually, the teeth will fall out.